Dandux Straitjacket Dandux Straitjacket (size medium) This Dandux brand straitjacket an extraordinary jacket manufactured by the company C.R.Daniels Inc. located in the state of Maryland. It is a very secure jacket with some novel features. It buckles in the front and it is the only medical jacket I have seen that features two crotch straps. It has side loops for the arms and fastens with slider buckles. 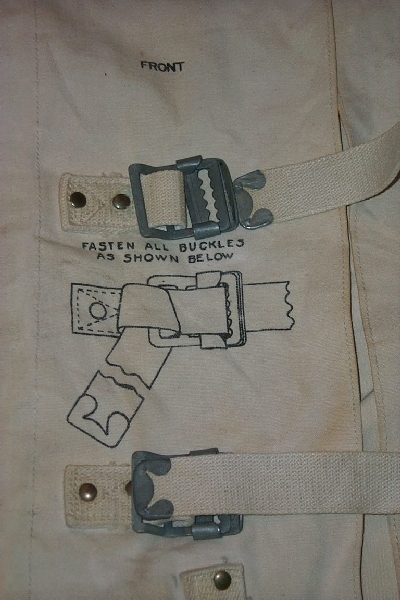 The buckles themselves are not all that secure, particularly so since they are in the front, but the company has thoughtfully included a diagram showing how each strap is to be knotted after the buckling. The C.R. Daniels company still exists and can be found on the web. Unfortunately they seem to be out of the straitjacket business. 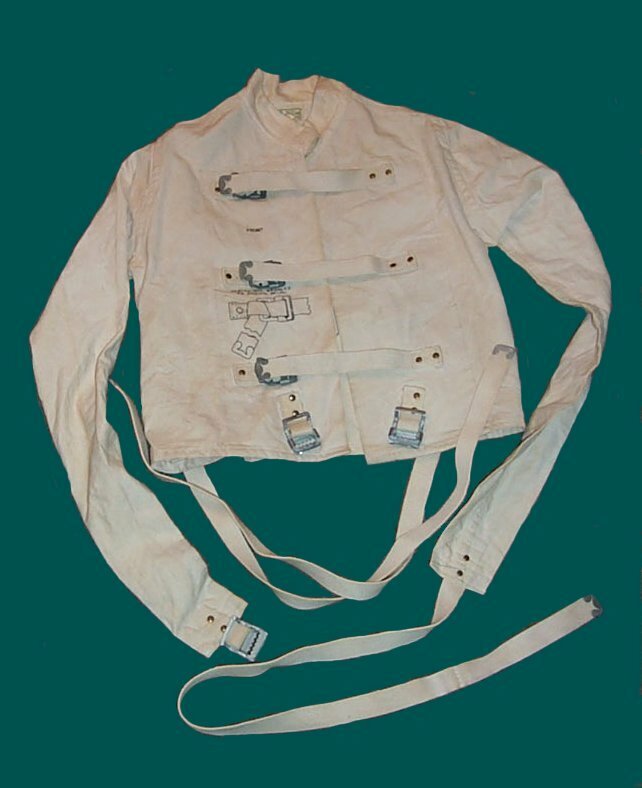 If you know anything more about Dandux straitjackets please send us an email.